Affordable Translations – LUGANDAPROZ TRANSLATIONS INC. 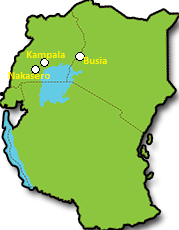 Being located strategically in Uganda’s capital city, we are surrounded by native language speakers who are professionals in different work fields. We have no intermediaries and thus offer really low rates. We have managed to sign at least 20 translators per native language to enable us divide the work load evenly so that it is finished in time.